Trying to get your ten year old to write a thank you letter these days is like pulling hens teeth. 'Dad, no one writes letters these days, didn't you know? I've texted!'. Sorry, not good enough (I'll come back to this later!). As we gear up for the holiday season in the ecommerce world, retailers take it for granted that they will get an influx of new customers shopping with them for the first time. Looking at the data over the past three or four years, the spikes are obvious. But getting them is one thing, keeping them is quite another. Recently, for example, we ran some analysis to try and understand how the long time value and longevity of customers acquired in holiday seasons varied from the norm. Running a cohort analysis on individual retailers, we've seen again and again that for many retailers the customers acquired in November and December repeat less often, spend less, and lapse more frequently than customers acquired at other times of the year. 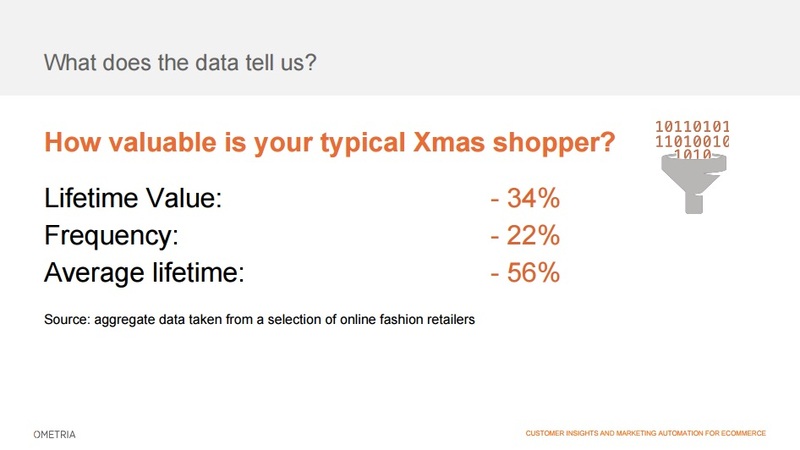 Christmas attracts more of the once-a-year online shoppers because, believe it or not, there is still a considerable percentage of the UK population who are not habitual web consumers. The holiday season includes Black Friday and Cyber Monday, when most retailers will offer steep promotional discounts. Discount shoppers are notoriously fickle when it comes to brand loyalty. Many retailers stock a different mix of products in the holiday season, tailored for the gift market, which won't be around the rest of the year. Last, there is often no tailored follow up. The standard 'welcome series', if there is one, gets lost in the excitement of Christmas, with sales mode taking over in the New Year. So, before we all pat ourselves on the back at the amounts of new business we will be driving through the door over the course of the next eight weeks, are we, as retailers and ecommerce professionals, doing enough to make the most of this golden opportunity to create long term value? Looking at the data, it seems not, and in many cases retailers are actually losing money on much of this business that will never come back. Having run the initial analysis, we then re-ran it, but this time only looking at those holiday shoppers who did end up shopping again after the season was over. Though we know that the percentage is generally lower than new customers acquired at other times, how do they perform against those other, rest-of-the-year repeaters. 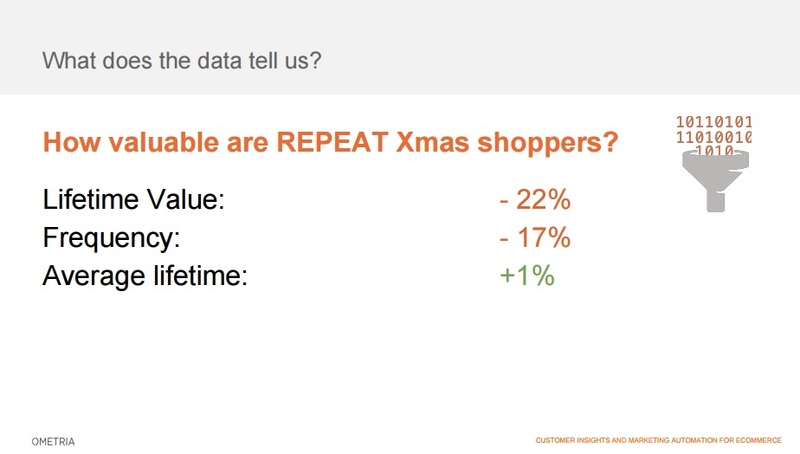 The data shows that while Christmas shoppers are generally less valuable than shoppers acquired at other times of the year, if they can be encouraged to repeat purchase, then the difference narrows. So the challenge is clear. What can we do, if anything, to move the needle? Let's split this into four stages. Taking the new customers acquired last Christmas, how many repeated after the period was over? Taking the new customers acquired last Christmas, how many shopped - or if you prefer visited you site - over the past six months? What's the total revenue to date of customers acquired last year? With these benchmarks in place, we can track how successful we are this holiday season is retaining them throughout 2016. The messaging and the incentives might be slightly different for each segment, and you might also want to segment on those who bought in the sales (for example over Cyber weekend) as opposed to those who paid full price. Re-organise your welcome series. 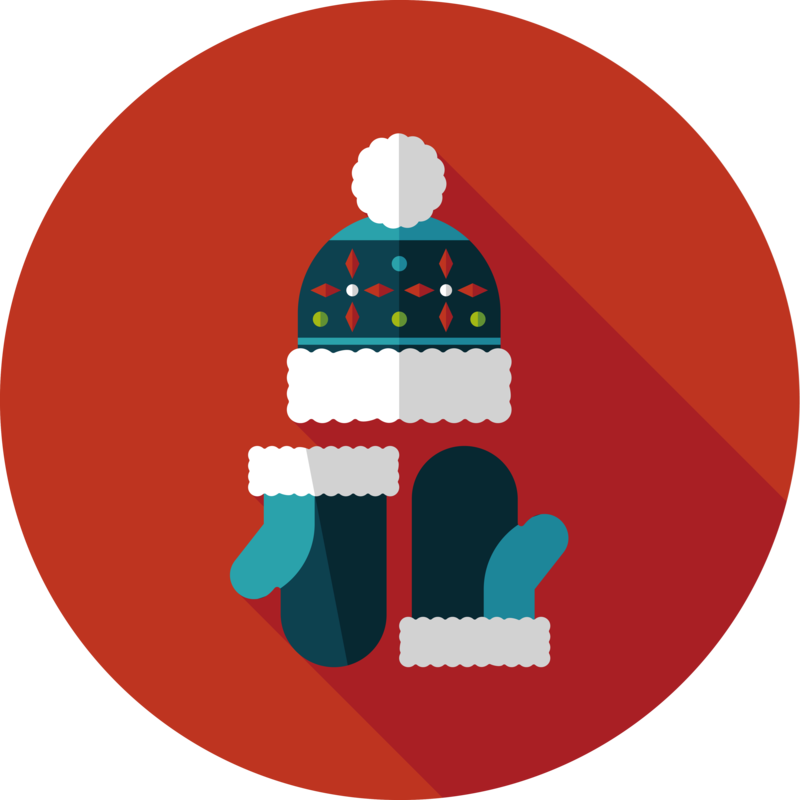 Over the holiday period, tailor the content around your Christmas offers and product ranges. Then reset the welcome based on your brand story, in January. This might cover your brand story, how to interact on social media with your brand, and what’s coming in 2016. And if they shopped over Christmas for the first time, start that new welcome with the most important message of all - the thank you email! So - back to the point I started this post with. It's so simple, but so effective - just say thank you! Thank you for trusting you with their business, and let them know how much you rely on new customers like them, how much it means to the development of your organisation. Make this as human and as personal as possible. I remember one of the most effective pieces of post purchase communication I ever received was when I first bought a Charles Tyrrett shirt, when I received a personal letter form the Founder, Nick Wheeler, thanking me for supporting his family concern, offering to deal with any problems I had, letting me know how important I was to him, and offering me £10 off my next shirt as a thank you. I've remained loyal ever since. A repeat incentive campaign. i.e. if they have not bought again within a set period of time, send them an incentive to make that all important second purchase. The timing of that nudge is crucial - see our post of how to work it out through order gap analysis. An 'at risk' campaign - if they still have not shopped, well beyond the time you would have expected them to do so if they followed the pattern of your other repeat shoppers, send them something stronger. Or perhaps a survey - are they once a year Christmas shoppers? A 'lapsed' or 'next Christmas' campaign. So if they have not shopped again in 10-11 months, they probably are! Make sure you have a strategy in place to tee them up to shop with you again over the 2016 holiday season. Any questions? Feel free to leave them in the comment section below.